Choosing the right backpack can be a challenge – the features, colors and sizes are endless. So our experts put their heads together and selected the top 5 things to consider when buying a new bag. Count on this list to guide you in the right direction – whether you're spending a weekend in the woods or commuting to the office. The versatile Elevate Tangent 15" Computer Backpack is durable enough for any commute – no matter how you get to work. The Campus Deluxe Backpack has a spacious main compartment for all your gear. With dedicated space for your laptop and all your tech accessories, the Tranzip 15" Commuter Backpack will keep you connected. Are you tech-obsessed? If so, you’ll want a bag that has dedicated pockets for all of your gadgets. It may be important to consider the size of your laptop, as well. Some TSA checkpoint friendly and laptop-dedicated compartments only fit certain sizes, such as 15 or 17 inch computers. Added padding or molded pockets could also be an important consideration – especially if you carry an expensive camera, smartphone or new headphones. The Kenneth Cole® Pack Book 17" Computer Backpack has a modern professional look and plenty of features. 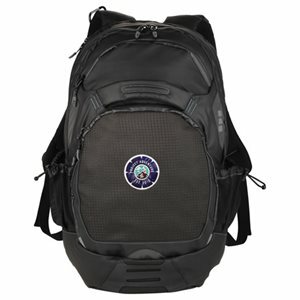 The TSA-friendly elleven™ Pack-Flat 17" Computer Backpack features and RFID pocket to keep your information safe.